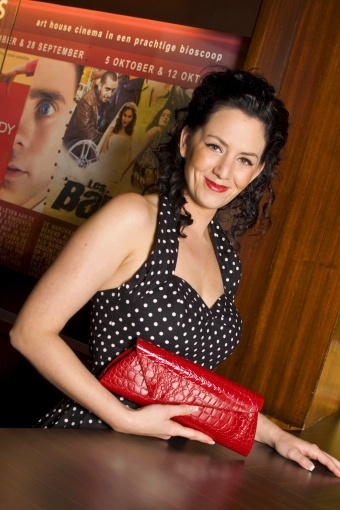 The Trixie Croc red patent Croc clutch by COLLECTIF. This is a perfect vintage inspired clutch / shoulder purse to grab and go for a beautiful night out. Matches beautiful with our pinup & swing dresses. Made of imitation croc embossed patent leather. Frame closure with magnetic snap. Assymetric detail at front tab. Interior black satin with white roses and cell phone pocket. Can also be used as a shoulder purse, inside a silver chain is hidden. Also available in Black.